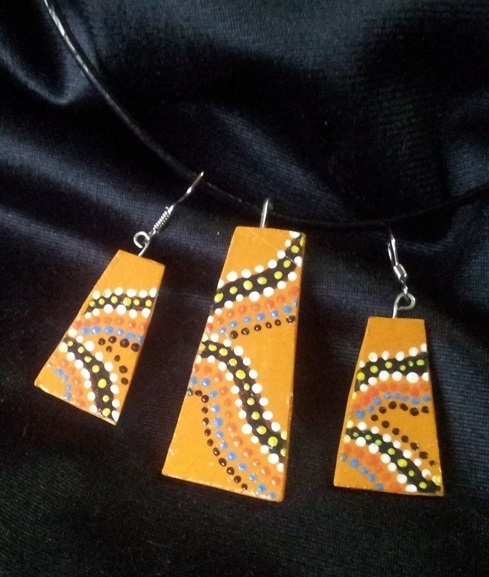 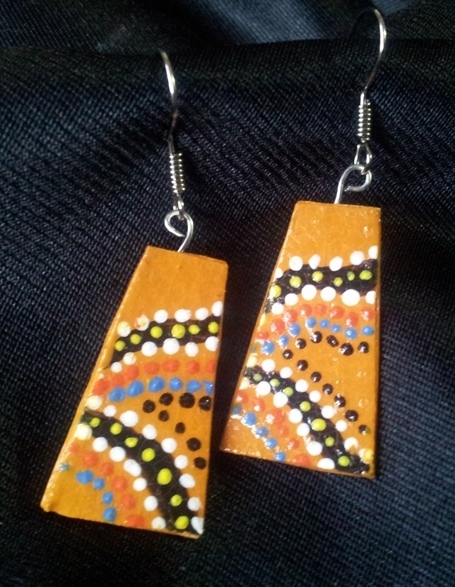 Hand painted earrings and necklace set, inspired by the wonderful Indigenous dot painting technique and set on an Ochre coloured background using the colours of the Australian outback. 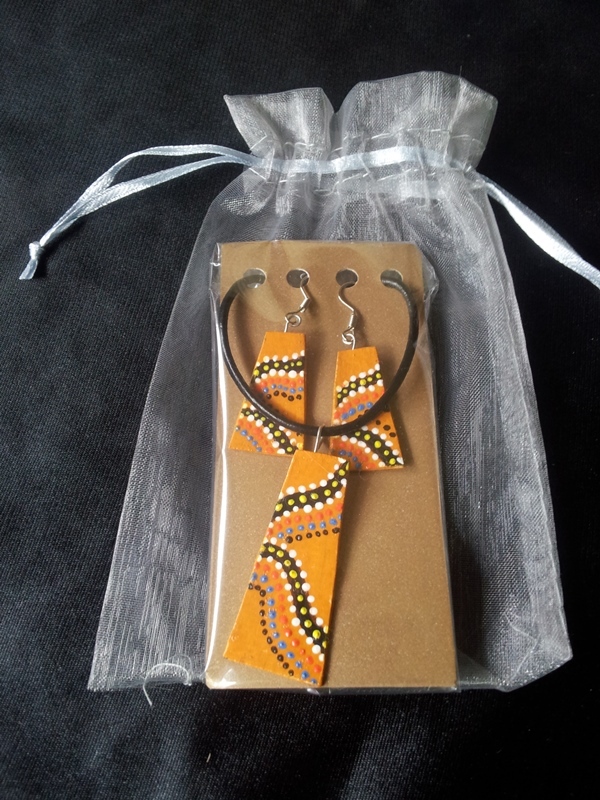 With hand made wire findings, set on a 45 cm leather cord and varnished to enhance design and improve durability, this would make a unique gift for that someone special. 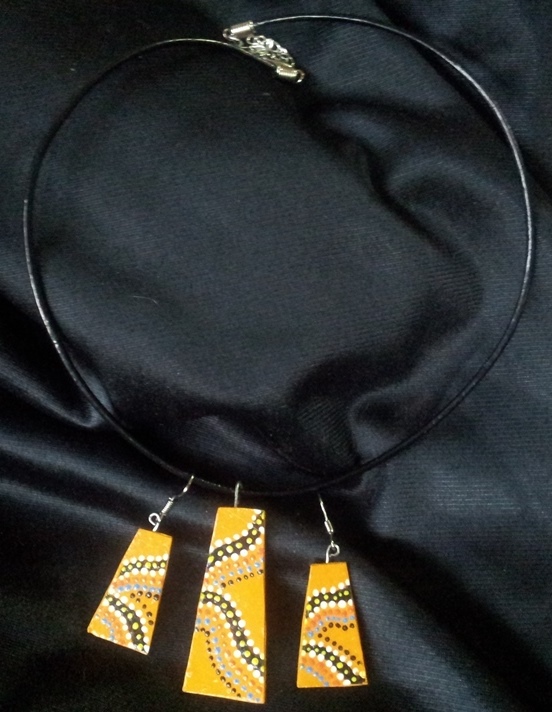 Comes gift wrapped.